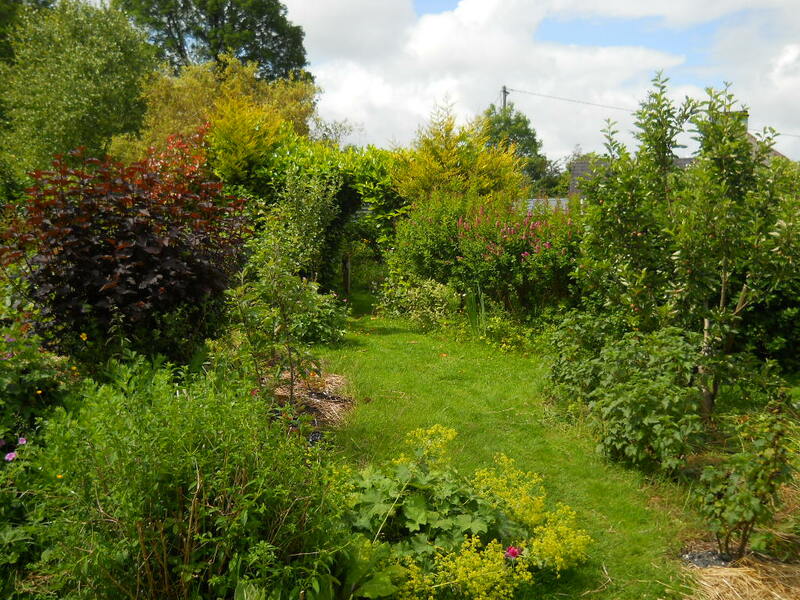 Permaculture Brings Hope…before and after images! It’s been almost nine years since I began planting this smallholding in the west of Ireland. Many of you are familiar with the landscape as it looked then. 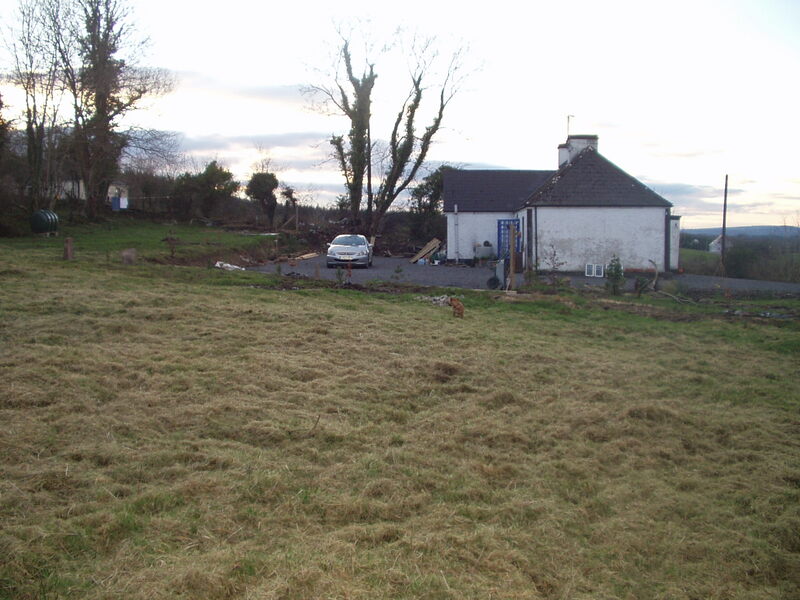 The picture above shows Bealtaine Cottage after a lot of cutting and clearing, around the time that the planting began. This picture shows the same view today. As you can see, the cottage is obscured…melting into the gardens of intense production. The lonely, abandoned cottage on the first day I saw it. 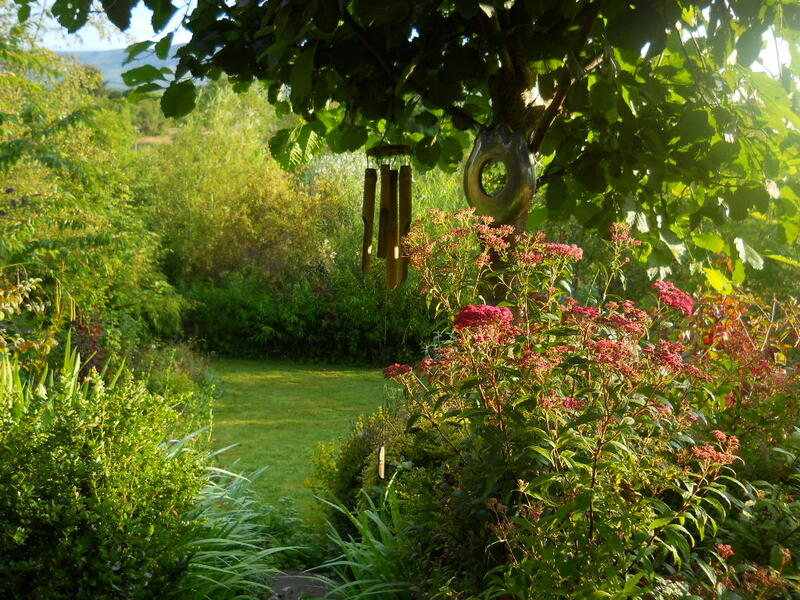 Disappeared into the Permaculture Gardens of Bealtaine Cottage…nine years of planting by one woman and a spade! 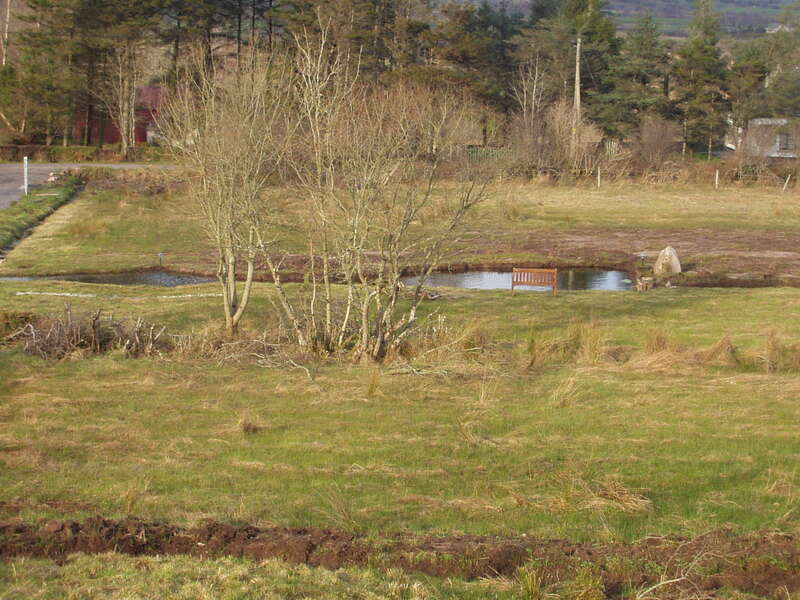 This picture shows the Bog Garden after the first pond was created and the surrounding land cleaned up for planting. Photographs taken at the time depict a barren looking, rushy, wet landscape that offered little hope or sanctuary for gardeners, growers, wildlife or Nature.